Our reputation for excellent service started in 1983 with the creation of HEMS® (Hospital Equipment Management System) as a collaborative effort of the University of Vermont, ASHE (American Society for Healthcare Engineering), and the Kellogg Foundation. 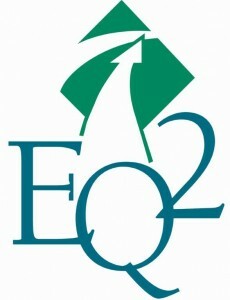 Then in 1993, EQ2 was created to manage the continued growth of HEMS and all of its associated products. In 2013, EQ2 was acquired by AMT Datasouth – a company that provides customized patient wristband and label solutions for hospitals as well as software for downtime patient admittance and administration. The foundational program of HEMS, which was developed in a hospital, changed the industry because it was developed specifically for hospital needs. Since then we have constantly improved it to meet the evolutionary needs of the hospital. Our success is closely tied to meeting professionals in their place of business to deliver on the unquestionable urgency that comes with healthcare management. We have reviewed, developed and expanded our offerings to assist hospital facility managers and equipment professionals in a variety of institutions. We attribute our success to continually evolving, expanding and learning from our clients. 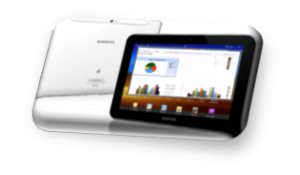 Additionally we continue to expand our offerings to embrace new technologies and challenges. For a full scope of our product offerings, see our Biomedical and Facilities product pages. Our software and service solutions are used by hundreds of hospitals of all sizes. We provide our clients with systems and services that assist their equipment professionals in providing a safe and efficient environment of care. We help you manage customer and equipment care while exceeding regulatory requirements. Our clients include small specialty clinics, large hospitals as well as multi-hospital corporations. 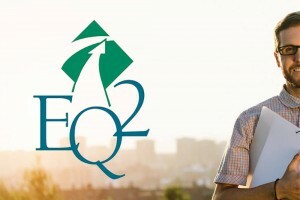 EQ2 utilizes the most stable and advanced Microsoft technologies for the Web, Mobile and Wireless, combined with over 22 years of best practice design and development effort, to help our customers achieve quality improvement and a quantifiable return on the investment they made in EQ2. Your hospital relies on your ability to deliver outcomes in a safe and effective environment of care. Our mission is to help you succeed, so you can offer the best service possible. We can help analyze your organizational processes to identify areas for potential breakdowns. This includes everything from identifying maintenance needs for facility equipment, clarifying interdepartmental communications, and helping to interconnect with smart instruments and testers. Our job is to help you make your CMMS hone in the systems and utilities that deliver results. Our customers are some of our greatest advocates, and they subscribe to each of our updates because we make it easy for them to not only keep their operations at a high level, but to actually improve and perfect them. To check out some customer testimonials, click here. As part of the community that is expanding and improving healthcare delivery around the world, EQ2 is proud to be a member of the following dynamic leaders in the healthcare community. Through our associations with these organizations, EQ2 learns much about what is needed, what is new and how to deliver excellence. EQ2 is working with IHE (Integrating the Healthcare Enterprise) to automate the process of live device communication and is using HL7 based IHE PCD profiles to get the information from smart devices and RTLS systems. In Last year’s HIMSS and in January 2015, EQ2 was the only CMMS vendor to demonstrate and have interconnectivity with all the major medical device manufacturers. EQ2 passed the tests for interconnectivity using IHE PCD profiles (DEC, ACM, IPEC, MEMDMC, and MEMLS) at the IHE NA Connectathon 2015 in Cleveland. TSP is an EQ2 authorized distributor and value-added reseller of HEMS for Maine, Vermont, New York and New Hampshire. Total Solution Partners is focused on developing solutions that optimize organizational performance and positions them for sustainable future success. They specialize in managing technologies for safety, cost effectiveness, quality, and regulatory. TSP is a valued distributor for the Vermont and northern New England region. Through its efforts, hospitals maximize the benefits they receive from technology while minimizing the costs. QRS Calibrations, Inc. specializes in servicing the medical industry in calibrations and metrology services as well as providing patient monitoring and telemetry installation, repair and maintenance. We also support our customers with both New and Used Medical and Electrical Test Equipment and Medical Devices and accessory sales. With over 10 years of working with hospitals, manufacturers, and supporting companies we strive to provide our customers with excellent products and services. Mission: To aide our customers with precision calibrations, to provide innovative products and support the Biomeds / Clinical Engineers in any way possible. Today, biomedical personnel must meet increasing regulatory pressures, higher quality standards, and rapid technological growth, while performing their work faster and more efficiently than ever. QRS stands behind you, ready to provide a whole range of software and hardware tools to meet today’s challenges. EQ2 shares technical information with Fluke Biomedical to assist EQ2’s customers who utilize Fluke Biomedical’s industry leading electrical safety technologies. Whereas Fluke Biomedical does not directly endorse EQ2’s product or services, we do work together to ensure the success of our mutual customers. Read more about how Fluke and EQ2’s technology communicate with one another. Microsoft works to help people and businesses throughout the world realize their full potential. This is our mutual mission for your business. Everything we do reflects this mission and the values that make it possible. EQ2 is a Certified Silver Microsoft Partner. 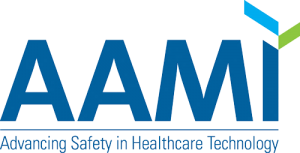 The AAMI is dedicated to increasing the understanding, safety, and efficacy of medical instrumentation. EQ2 is a corporate member of AAMI, and EQ2’s personnel have served on the AAMI Equipment Management Committee. Please note that AAMI does not endorse any products or services. An association of diverse professionals dedicated to bringing about continuing improvements in the health care environment through advocacy, education, broadcasting of information, and collaboration among medical organizations and enterprises. The California Medical Instrumentation Association (CMIA) is dedicated to the promotion, education and information exchange of the state’s clinical biomedical engineering community. The major instruments for achieving these goals are monthly chapter meetings, the annual awards banquet and technical workshop and this web site. The California Medical Instrumentation Association was founded and incorporated in 1992. 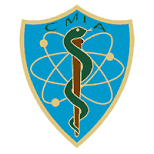 The CMIA is a thriving state wide non-profit organization dedicated to serving the needs of the biomedical community and profession through seven local chapters. Our responsibility as a technology company is staying on top of the latest innovations in Information Technology to employ the best tools available. We stay adaptable by utilizing enterprise standard operating systems & maintaining certifications. The Lightweight Directory Access Protocol (LDAP) is an open, vendor-neutral, industry standard application protocol for accessing, maintaining and securing distributed directory information services over an Internet Protocol (IP) network. Each EQ2 product is represented in a technology grid so you can easily understand your entire technological environment. Because each part of your organization is important, our support ranges from clinical instruments involved directly with service to technologies. 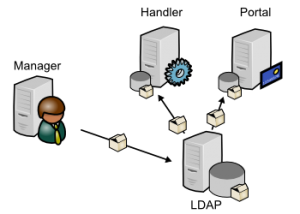 This includes not only network computers but also HVAC, energy systems (gas and electrical), beds, emergency procedures, elevators, and other devices that support internal roles. Directory services play an important role in developing intranet and Internet applications by allowing the sharing of information about users, systems, networks, services, and applications throughout the network.As examples, directory services may provide any organized set of records, often with a hierarchical structure, such as a corporate email directory. Similarly, a telephone directory is a list of subscribers with an address and a phone number. HEMS Enterprise is a SQL Server 2012-based application. Wireless, Web Enabled, SQL Server 2012 based Barcode and Reporting Services are all included.The very best of database, reporting and operational success – EQ2 is a proud distributor and value-added reseller of Microsoft’s information tools. SQL Server 2012 passes the security tests for Atomicity, Consistency, Isolation, and Durability. EQ2 is a Certified Microsoft® Partner because our values reflect Microsoft’s mission to help people and businesses realize their potential throughout the world. Their actions reflect their mission and values to make it possible. HEMS Enterprise uses the most advanced Microsoft technologies that enables users to take full advantage of each platform while minimizing network traffic.We specialize in working with ASP.Net, SQL Server Reporting Services, Office integration and XML. EQ2 Mobile a Pocket PC application running the SQL Server CE powered is a mobile assistant for the busy technicians in the field. Wireless or wired, EQ2 Mobile provides instant access to the information and workflow in the field. EQ2 Mobile also supports pictures for incoming inspection of equipment and barcode/RFID tag reading. Our system continually monitors tasks to trigger alert based on your preferences, so that you know when your attention is needed. You receive an alert anytime your attention is required, so that you can respond accordingly. We also automatically track performance indicators based on your preferred metrics, so you can be sure that your team consistently delivers. Our Certificates ensure your peace-of-mind: Microsoft Certified Partner, the EQ2 Mobile tool that is Microsoft-Designed for Windows, the Certified interface to the Fluke Biomedical MedTester, and a ProClarity Analytics Partner. To learn why hospitals, biomedical, and facilities and everywhere choose EQ2 over our competitors read more by clicking here.